A volcanic dike is made by molten lava that rises within a fault. As it rises, it forces the rock above it to split and widen. The lava may reach the surface and spill out, or it may not. But if it stalls below the surface, the split along the fault may reach the surface and open a tension crack. The resulting feature partly resembles an elongated pit crater, but it usually lacks any round pits along the line of faulting. And a buried dike that becomes exposed through erosion will make a narrow ridge generally running straight for a distance. The most impressive tectonic feature of Mars, however, is its canyons. 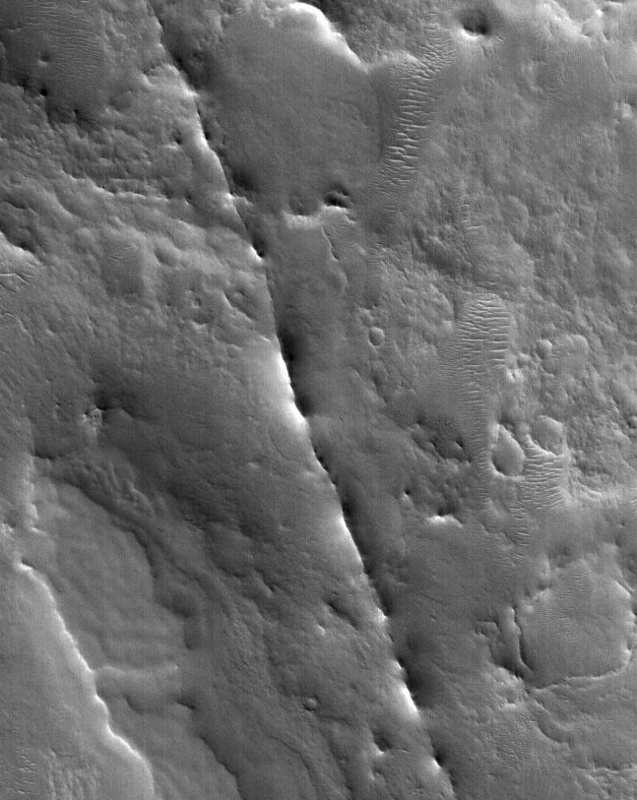 Chief among these is Valles Marineris — Mariner Valley — and numerous associated hollows, valleys, depressions, and canyons. For know more about them, see the entry on canyons.